New England Public Radio's headquarters in Springfield, Mass. New England Public Radio and WGBY-TV in Springfield, Mass., are combining operations under a new public media organization. Under a letter of intent signed by their licensees and the New England Public Radio Foundation, the television and radio stations will reorganize as New England Public Media, a nonprofit that will operate the stations under program service operating agreements, according to NEPR CEO Martin Miller. New England Public Media will be led by Miller, who will become its president. 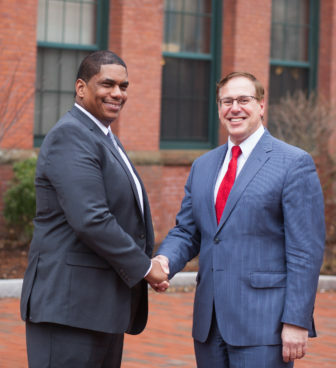 Anthony Hayes, GM of WGBY, will be COO and GM, the stations announced in a press release Thursday. The restructuring, which must be approved by the FCC, is not a merger. WGBH Educational Foundation, the license holder for WGBY, and the University of Massachusetts Amherst, New England Public Radio’s licensee, will retain ownership of the broadcast licenses. The umbrella organization New England Public Media will be overseen by a board that combines membership of the NEPR Foundation board and members of the WGBY board of tribunes. WGBH CEO Jon Abbott will also have a seat on the board. WGBH will provide $6 million over six years to support the expansion of news operations and community engagement work. Miller and Hayes told Current they began discussing how the two stations could collaborate after Hayes was hired in 2017. They said they were interested in combining resources to expand their journalism. With current staffing of both stations, the combined newsroom of New England Public Media will consist of 21 editorial staff. NEPM will hire a managing director and executive editor for news and content, building a news team of 30 or more staff within three years, Miller said. While most of the new hires will be for editorial positions, NEPM will hire a staffer to work on community-engagement events and additional support staff, he said. “We believe by having our teams united and actually collaborating on a more consistent basis and forming a true partnership, it would allow us to do more of what we want to do to serve the community,” Hayes said. Many decisions about how the new organization will expand its journalism will be made after the managing director is hired, Miller said. But New England Public Media plans to start a new daily, hourlong radio talk show and expand upon WGBY’s local news program Connecting Point, Hayes said. Station leaders also want to produce more digital content, including podcasts. Digital content is “going to be a major emphasis in this and something that we probably couldn’t alone … produce,” Miller said. As the two stations will combine their staffs, they’ll start with a workforce of 78 employees, Miller said. No layoffs are planned. 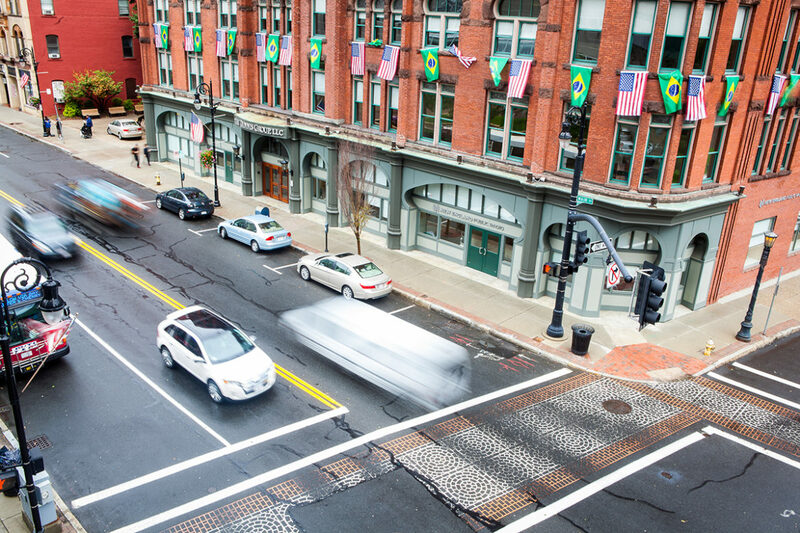 New England Public Media will operate out of WGBY and New England Public Radio’s current headquarters in addition to a radio facility on the University of Massachusetts Amherst campus. The new organization will continue to have “complete editorial local autonomy,” Miller said. WGBH’s investment in the new organization will primarily back content operations. The funds will go towards the news expansion, including construction of a larger newsroom within WGBY headquarters, and plans to work with community partners on engagement and live events. “We look forward to the exciting work NEPM will undertake and to the opportunities this will create to bring wider attention to the stories of western Massachusetts, sharing them across the Commonwealth,” said Jon Abbott, president and CEO of WGBH, in the release. While expanding the news operation is a focus for New England Public Media, its leaders remain committed to producing music and cultural programming, Miller said. NEPR airs an all-classical HD stream along with classical and jazz programming on its main signal. Miller said the station will develop new music streams. Both managers said their stations are in good financial standing going into the agreement, though their licensees have subsidized their operations. They had both been looking for ways to grow revenue, Miller said, and recognized that combining their operations could help accomplish that. “We can either maintain what we’re doing and grow slowly, or we can enter into an organization and a structure like this that is going to accelerate our ability to grow,” he said. Combining WGBY’s “extensive” educational services with NEPR’s Media Lab, which teaches audio narrative skills, makes for “a much more powerful case to make to the public for support, but it also becomes just a much better public service to the community,” Miller said. “The creation of New England Public Media reflects the university’s enduring commitment to the independent news coverage and cultural programming provided by public media,” said UMass Amherst Chancellor Kumble Subbaswamy in the release. “UMass Amherst was a founding partner of WFCR nearly 60 years ago, and we are enthusiastic about how this new, 21st century collaboration will serve our communities with distinction.” WFCR, the flagship FM station in NEPR’s regional network, is licensed to Amherst and headquartered in Springfield. The University of Massachusetts Amherst is “not looking to diminish our commitment” to the new entity, John Kennedy, vice chancellor for university relations, told Current. Much of the university’s support is through in-kind services such as infrastructure and human resources staffing. Miller and Hayes recognize that the transition to reorganize as New England Public Media will present challenges. “Whenever you bring two organizations together that have operated separately for a long time, you know obviously there are different cultural things that happen in organizations,” Miller said. “That shouldn’t be a surprise.” To assist with the transition, he plans to hire an organizational change management consultant. Miller expects the process of integrating the two staffs will take about 15 months. Combining their development teams and communicating with donors will be among the most complicated tasks, he said. “We have to figure out … how we sustain our donors who are giving to both organizations and have them continue to give to both organizations,” he said. More than 100 public radio stations have picked up the midday NPR news show Here & Now with its expansion to two hours July 1, many of them to fill the void left by the cancellation of NPR’s long-running call-in show Talk of the Nation.